The Thunder Run ride will depart from the dealership at 1:30 pm. Please note this ride will be OPP and EMS assisted this year... “NO STOPS” between Barrie and Wasaga Beach. 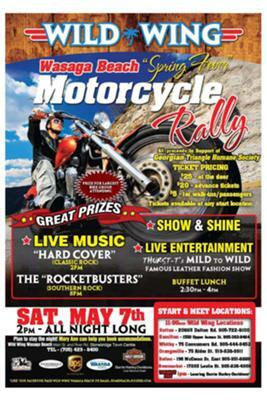 Please ensure your arrival at Barrie Harley-Davidson prior to the 1:30 departure time to join us for the Thunder Run to Wild Wing Wasaga Beach.